Important. When you buy Paragon Software products from this store, you are buying directly from Paragon Software utilising our shared Cleverbridge cart. For this reason, note that Paragon Software do not fix AUD, CAD, NZD or SEK prices, so the price in the cart will differ from the advertised price as it's converted on-the-fly from USD. Also note that we cannot offer the usual extended download insurance bundle as you are buying from Paragon directly. 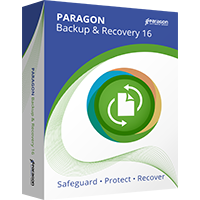 Downloads and support will be provided by Paragon Software.